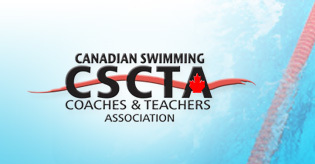 Swimming Canada and the Canadian Swim Coaches & Teachers Association (CSCTA) have again partnered to offer comprehensive “Apprentice Coach” opportunities as part of their mission to be a leading swimming nation by 2020. The CSCTA will host their Annual General Meeting on April 2, 2019 in Toronto. Swim Nova Scotia is pleased to announce that Virginia “Ginny” Smith will be awarded the Sovereign’s Medal for Volunteers. Swim PEI is pleased to announce that Pierre Lafontaine will assume the position of Provincial High Performance Coach effective January 1, 2019. Swim Ontario is proud to announce that its Board of Directors has appointed Dean Boles as its new Chief Executive Officer (CEO) and Chief Technical Officer (CTO) effective January 1, 2019.